Not Available to PROM GROUPS OR GROUPS UNDER THE AGES OF 25. Beach Badges and Linens provided! 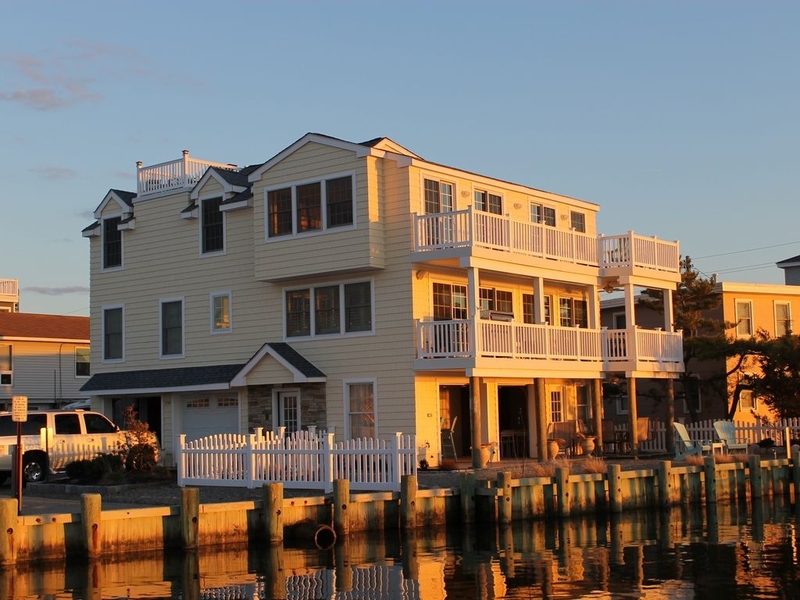 Destined to become your favorite vacation destination, Bay Dream is a spacious 4 bedroom/3.5 bath home filled with luxury amenities and perched in a spectacular bay front location with picture-perfect sunsets. The home sleeps 8, has central air, and . . . a boat dock! 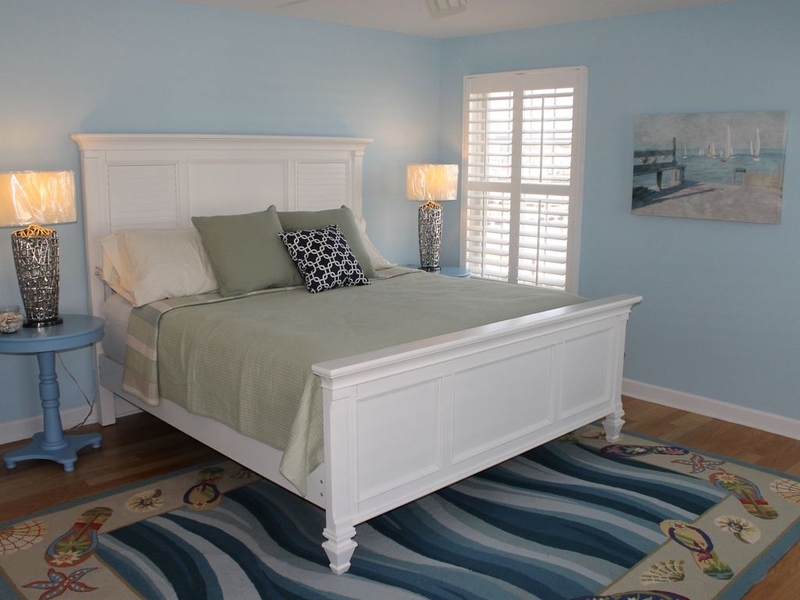 Looking for the perfect family vacation home in Surf City? You'll find it here. This home has all the magic everyone should experience when on vacation! 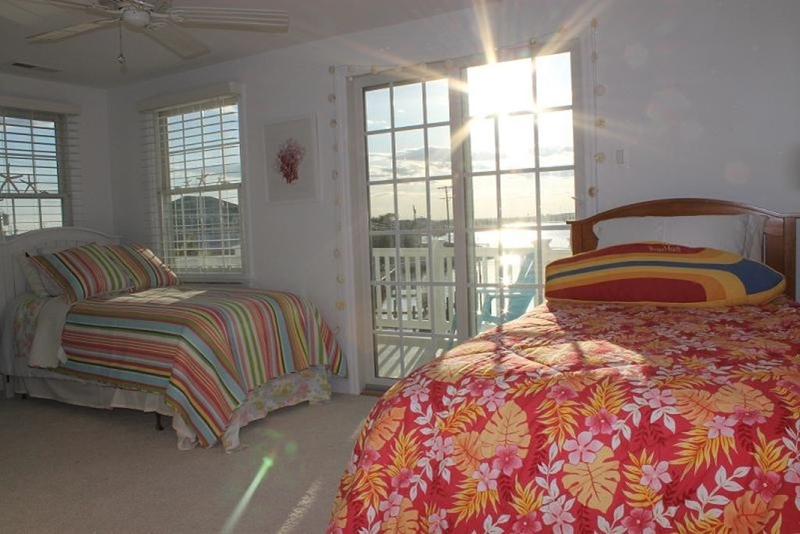 Just a short walk to the beach with a large playground across the street, Bay Dream also has a fantastic party room on lower level complete with a surfboard bar, colorful lifeguard chair seating, and cafe tables that look out over the bay. Spectacular sunsets await! 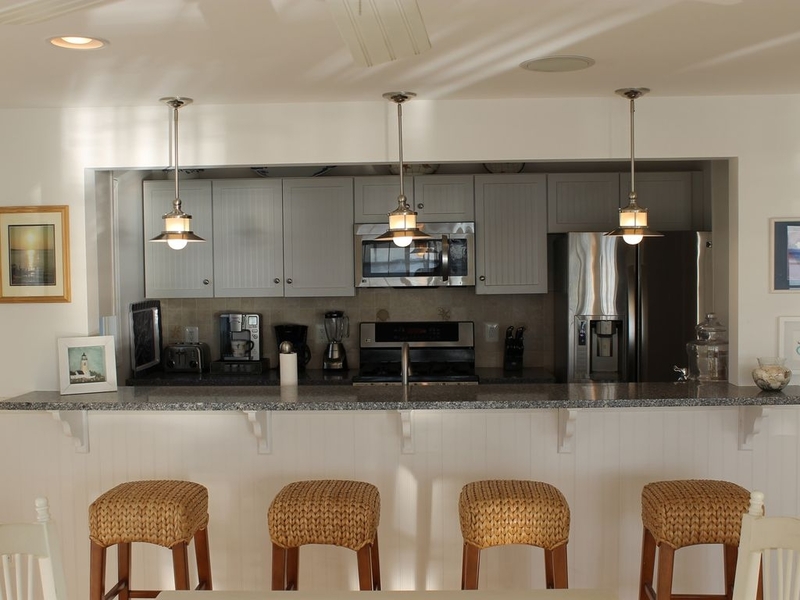 Enjoy your favorite beverage while gazing at the water through wide garage-style doors that open out to the bay. 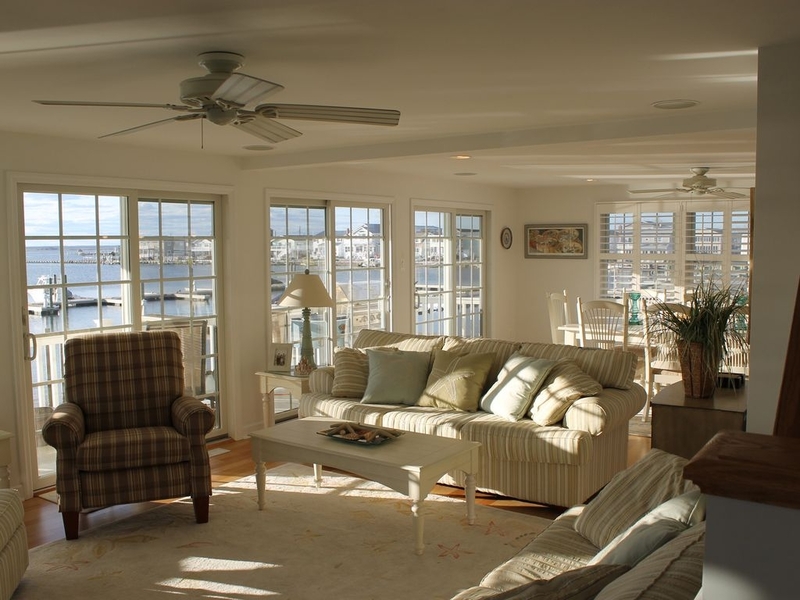 This covered area has ceiling fans and large windows for refreshing salty-aired cross breezes. You may never want to leave this room. But wait, the rest of the home is just as amazing. This waterfront home has some very special features and the views from inside are also amazing— like being on a boat at sea. Enter onto the home's top floor to a beautifully laid out living room and dining room with an abundance of windows providing panoramic water views. This room has the feel of a ship surrounded by water. The living room has comfortable seating and a large flat-screen TV with surround-sound, IPOD dock, and cable. The sound system is connected to outdoor speakers and in-home speakers throughout. 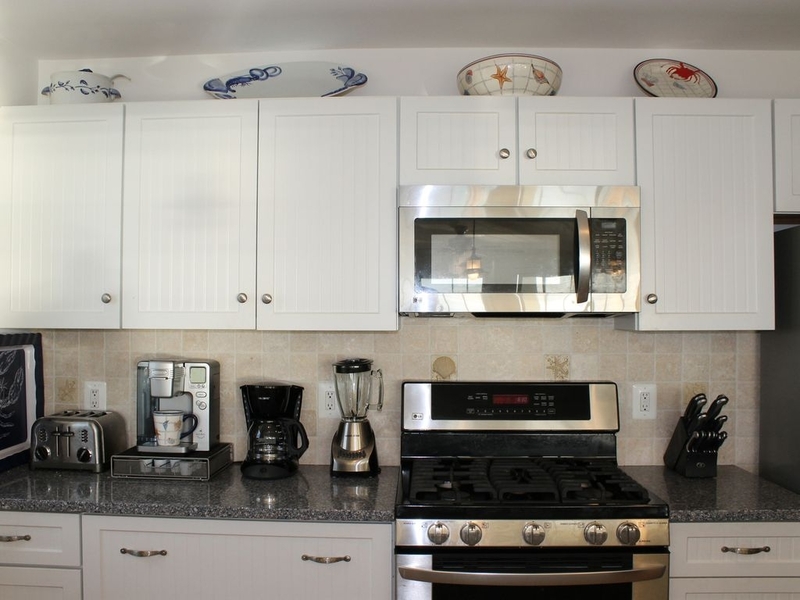 The gourmet kitchen is also on this floor, featuring granite counter tops, top-of-the-line stainless steel appliances, 2 coffee makers to include a regular drip and K-Cup, a large assortment of dinnerware, cookware, glasses, flatware, and serving bowls. Set up to please any chef's needs, you will find a toaster, blender, a wine cooler, and a pullout pantry. The dining table seats 8, and the breakfast bar seats 4. 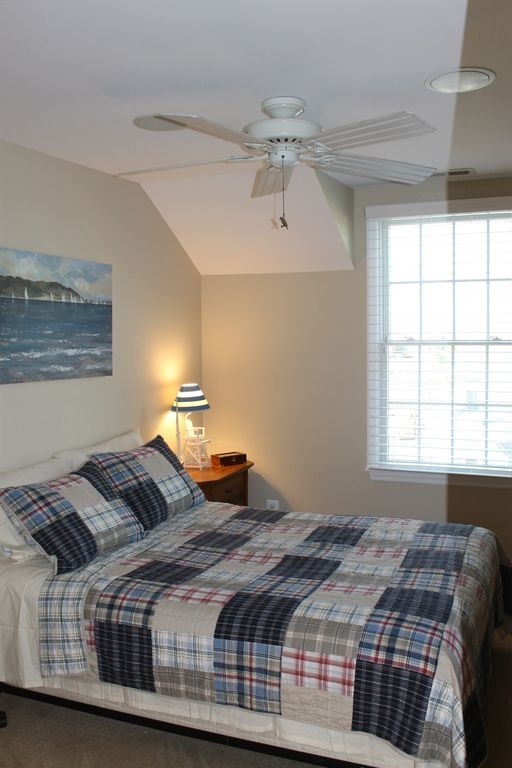 On the top floor you will also find Bedroom #1 (a king master with private bathroom; a flat-screen TV), a powder room, and a stack-able washer/dryer. The mid-level has three more bedrooms and a large family room with flat screen TV. 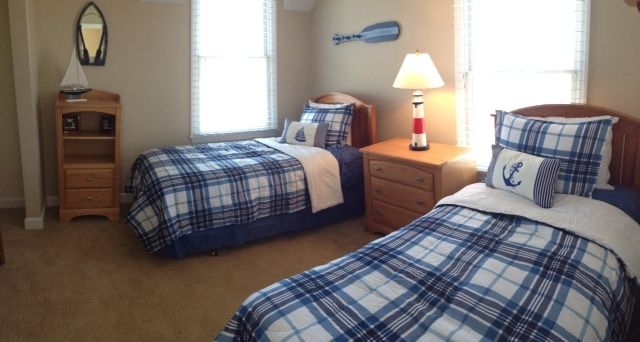 Bedroom #2 has 2 twin beds, a deck, and private bathroom with shower. Bedroom #3 has a queen bed and flat-screen TV, and bedroom #4 has 2 twins. 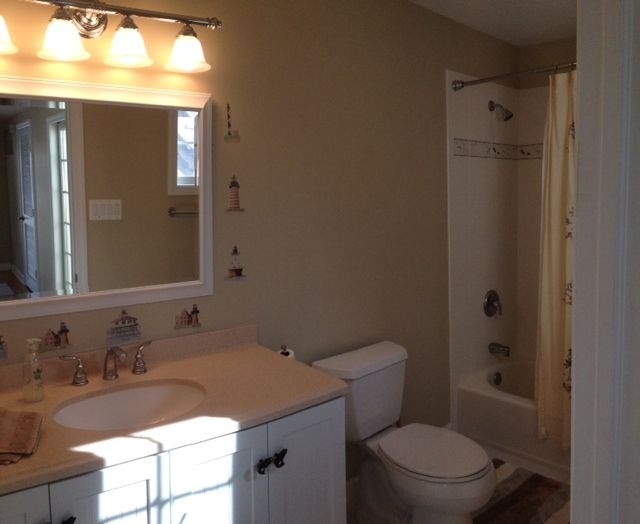 There is also guest bath with a tub shower on this floor. 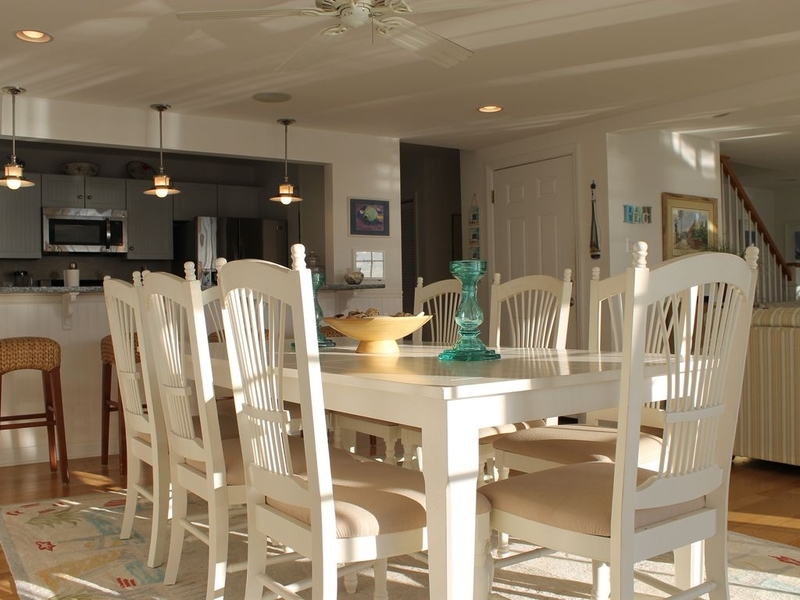 The home has decks off of all three levels, with grill, dining, and additional seating. 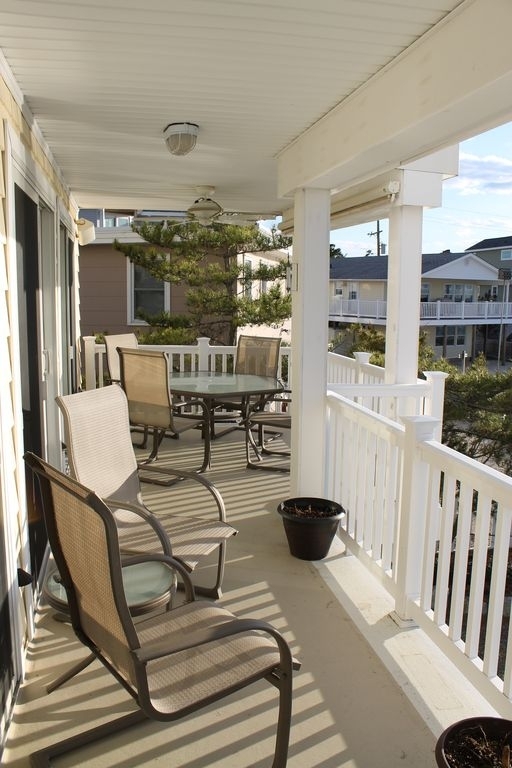 The roof deck has a bar and is a nice spot to sit and enjoy the sunsets with your favorite beverage. Beach Tags are provided. 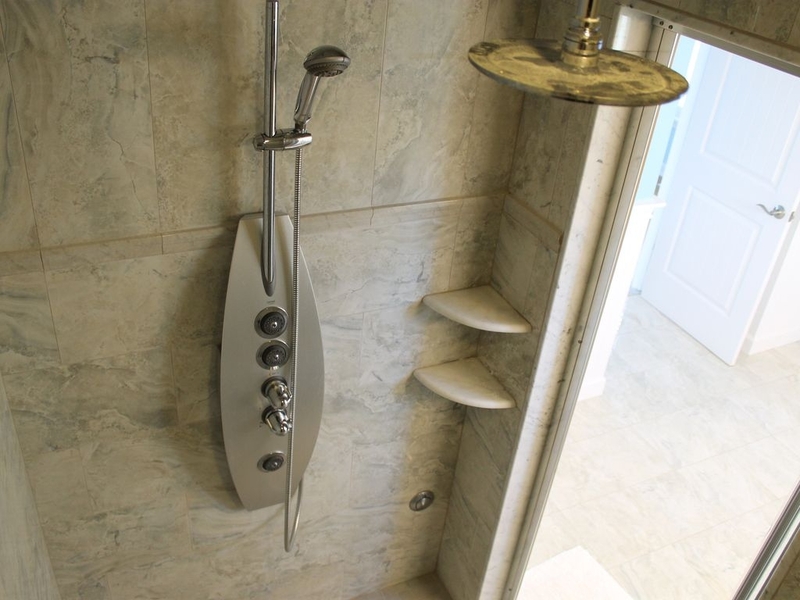 An enclosed outdoor shower offers COOL water for rinsing off after a day at the beach. The boat dock provides a fantastic place for swimming. Feel free to bring your traps for excellent crabbing. Parking for 4 cars. 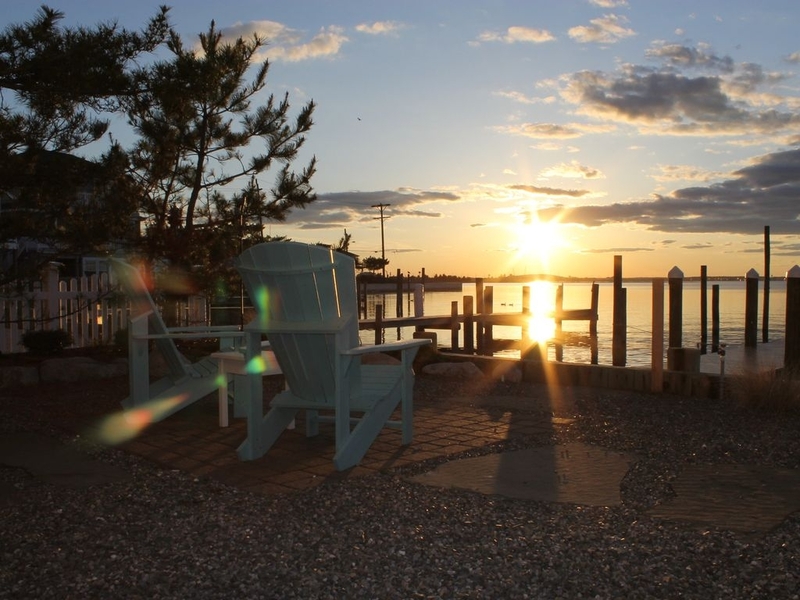 Dock & Dine destination recommendations while at this home: Latitudes Beach Bar and Dining, Forked River, NJ Free docking, great food. Bar and happy hour specials and bands. This is a 30-minute boat ride away, out of our dock to the right. The Black Whale, Beach Haven, NJ Boat docking nearby. Family dining with great seafood. This is also about a 30-minute boat ride away, making a right out of our dock. Across the bay towards Atlantic City is Motts Creek Inn on Motts Creek, Galloway, NJ. Live band entertainment, great bar food, seafood, sandwiches, etc. 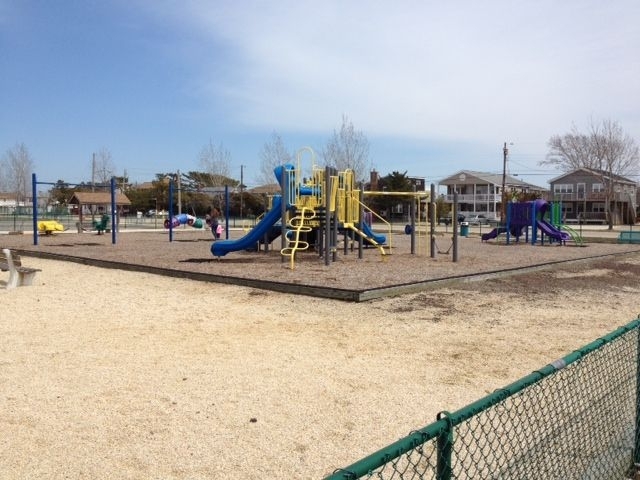 Bay front, with boat dock in Surf City, across from playground; 2 blocks from beach, walking distance to restaurants and shops. House , 2,500 sq. f.
We stayed at this beautifully updated, 5 star home, last fall and will definitely book it again this year. 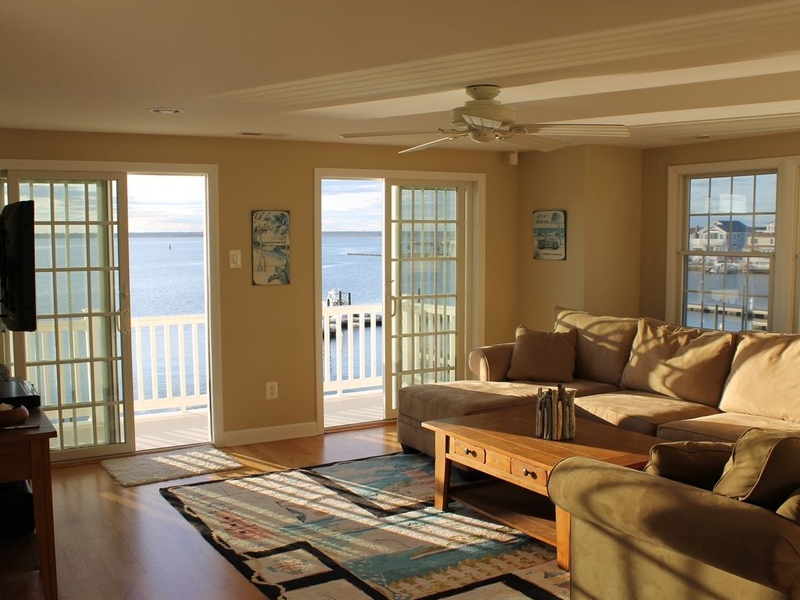 I loved the large window wall in the living area with amazing views of the bay and spectacular sunsets. I liked the convenience of the nearby stores, restaurants, recreational attractions, and you are just a walk away from the ocean. This house has every convenience including a fabulous, well stocked kitchen with every amenity. Thank you for taking the time to leave your review! The views from the bay facing windows are un matched! Spectacular sunsets!!! 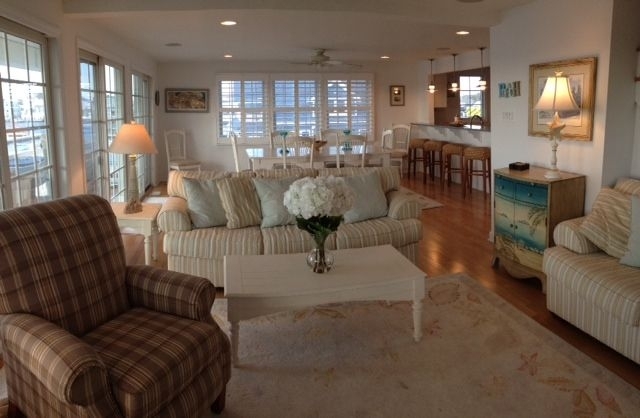 Agreed, the home is conveniently located - short strolls to restaurants, shops, the playground and the beach! The kitchen is well stocked for your convenience! 5 Stars for this rental! My family and I stayed here last summer and had a great time. So spacious and comfortable; even provided sheets & towels. Great being right on the bay especially if you have a boat or love water activities. So peaceful sitting out watching the water and seeing the sunsets every day. So many places to walk or bike to for the family. Restaurants, miniature golf, shopping, ice cream! I would definitely rent here again. Sitting at the Dock of the Bay! What a vacation dream home! We stayed over the July 4th week and what a great time! Fireworks right across the bay! We had ample space in the dining area and living area. The bedrooms allowed us to spread out and enjoy the view from anywhere in this house. 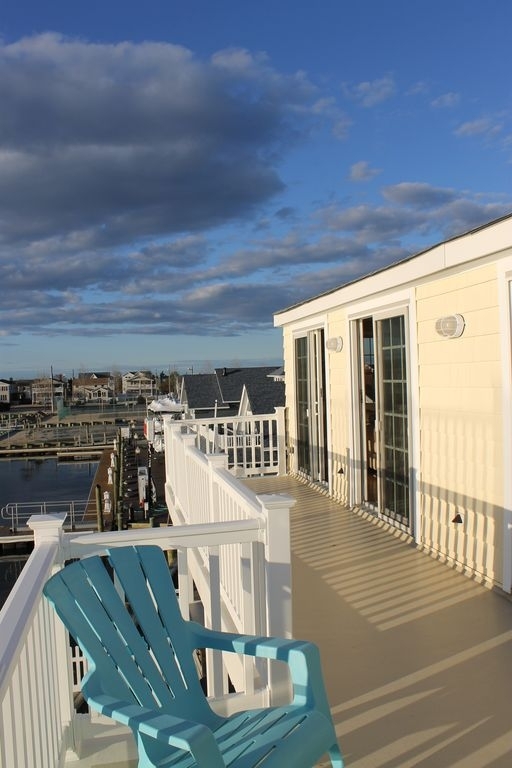 Decks, decks, and more decks to enjoy the bay view. No one had to wait for a shower, there were plenty and plenty of hot water! The downstairs bar room opened up to the backyard and long dock. Plenty of swimming right from the dock. Only wished we had brought a boat! It was nice to have the playground so close for our grandchildren to play. It was a short walk to the ocean , but most days we really enjoyed having our own quiet oasis out back.. The kitchen had everything we wanted or needed. We never got tired of our view... simply beautiful home in a beautiful location. The owner was very pleasant and made certain we had all we needed. Looking forward to our return next season with or without a boat! Thank you for taking the time to leave your review! 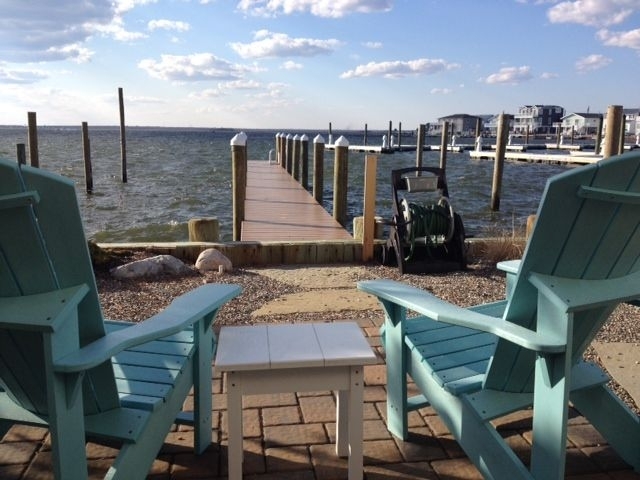 We are so glad you enjoyed the bay front aspects of this home and were able to swim, crab, and fish right off the private dock in your own back yard. And we agree with you, the views from every window, deck and dock are just extraordinary! Fabulous home with beautiful views. 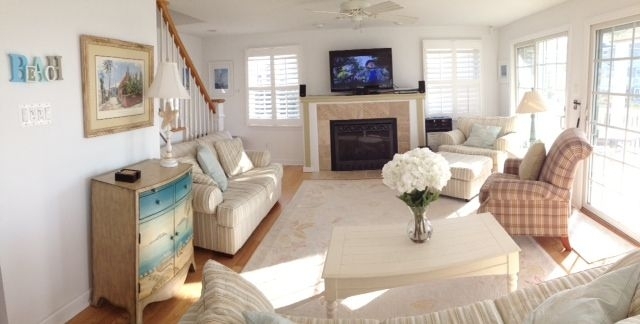 I recently returned from a long weekend stay in this Surf City home and it was the best home that I have ever rented. The location was excellent as it was just a few blocks from the causeway. 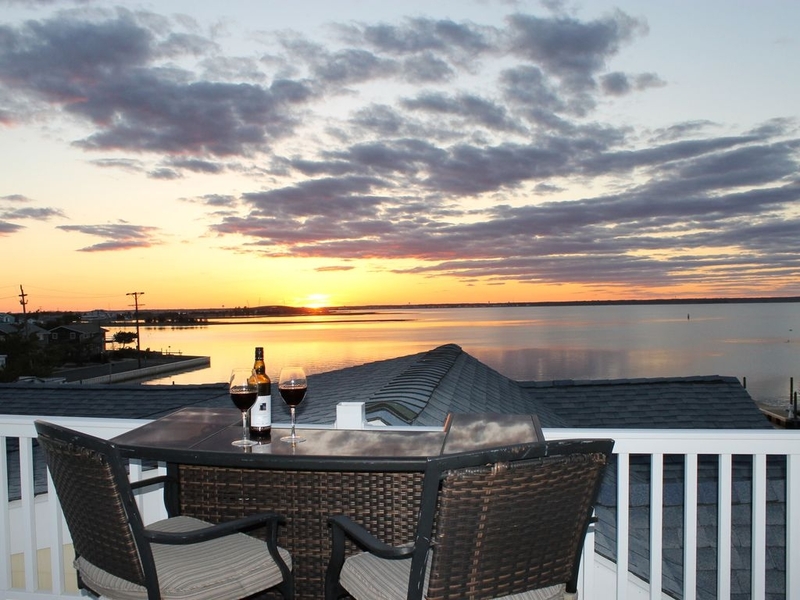 However, the views of the water from each room and the sunset from the decks are just amazing. This property seemed new and had many upscale amenities such as a fireplace, top of the line appliances and furnishings and was immaculate. We used the ground level bar area for afternoon cocktail hour and watched the sun go down. Style Vacations by Louis Shaw provided great service and was very responsive to my inquiries and I would absolutely use these folks the next time. 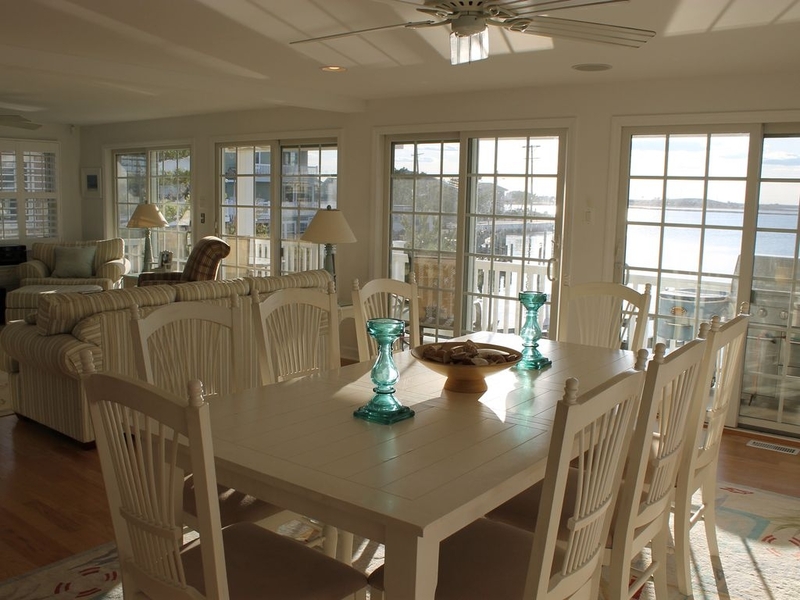 I have rented numerous homes up and down the east coast, from Cape Cod to Florida and this home was the best yet. This house was just spectacular! 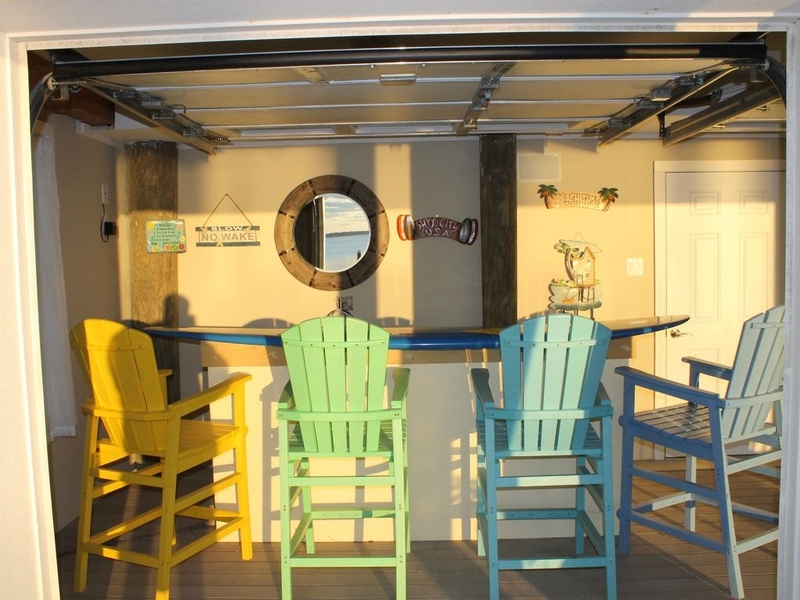 You are right on the bay with your own dock and seating for plenty of your friends. Nothing better than to watch the sunset after a day on the beach. The layout is great with the open layout of dining/kitchen and living room. I loved the pull out pantry! Great use of space and was able to most of our stuff there. The master was on the main living floor which was great since I was on crutches! 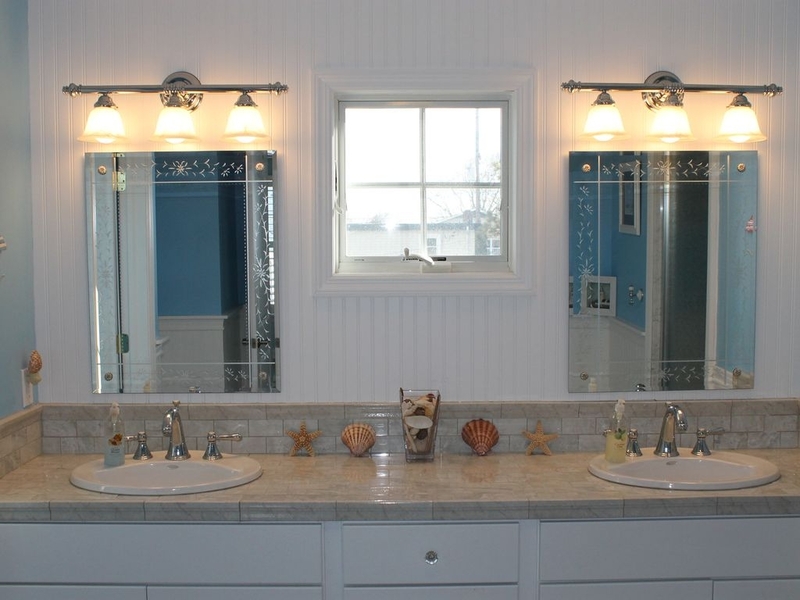 The master bathroom was HUGE! This was our 10 year anniversary so I felt extra special in that room. The rest of the rooms were all located in the 2nd floor. All my guests were blown away by the newness and decor of the rooms. Our favorite spot was the garage turned bar area! We spent most of our time there. What a great idea! Love the Surf Board Bar! Lastly Judith at Style Vacation Homes was a pleasure to deal with. She even called on day of check in to see how we were and gave me a recipe for Halibut on the grill! I was everything we were expecting and more. This house was perfect! The house was big enough so everyone could have their own space, yet be together when we wanted to. It is on the bay, which with younger kids it was a life saver. When the waves were rough at the beach, we went swimming in the bay. The house had everything we needed. Very clean!! Gorgeous sunsets! !